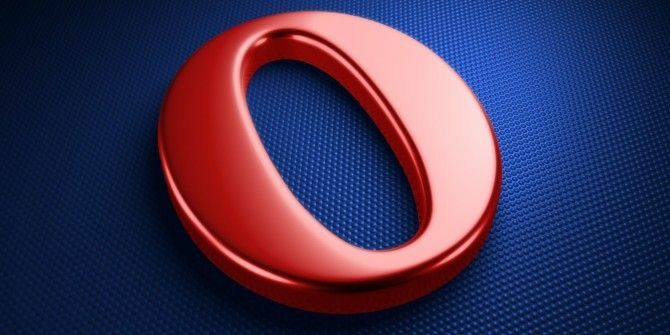 Opera already has plenty of cool features 4 Cool Features That Make Opera a Browser Worth Checking Out 4 Cool Features That Make Opera a Browser Worth Checking Out Though it's probably known best for it's presence in the mobile space, Opera's desktop browser has always had a good feel to it. It's very fast, responsive, renders well, and is packed with so many... Read More that make it worth checking out, but it’s just got a few more with the launch of Opera 18 for both desktop and Android. On the desktop, it brings support for WebRTC and getUserMedia, along with themes. On Android, the team has made several major changes and brought some of Opera desktop’s best features to tablets. Meanwhile, WebRTC (Real-Time Communications) lets you conduct video conferences on sites like appear.in with friends without needing to install any plugins. There are a lot more extension APIs added to Opera 18, building on the work done in the stellar Opera 15 Opera 15 Is A Faster, Simpler Chrome, And Here Are 3 Great Reasons To Try It Opera 15 Is A Faster, Simpler Chrome, And Here Are 3 Great Reasons To Try It It may seem ridiculous now, but when I was younger, I forked over a great wad of cash for Opera, a revolutionary web browser from Norway. I took it home, excited at finally being able... Read More release. Finally, Opera 18 can be themed and it’s very easy to make them and share them with the world at the Opera Theme store. Download Opera 18 for Windows and Mac from Opera.com. The new full-featured Opera 18 browser for Android—based on Chromium 31—has been redesigned to take maximum benefit of the screen size of large touchscreen devices, much like other tablet-optimized Android browsers 4 Of The Fastest Tablet-Optimized Browsers You've Never Heard Of [Android] 4 Of The Fastest Tablet-Optimized Browsers You've Never Heard Of [Android] Android tablet browsers, generally speaking, are not that great. Most of the big four browsers suffer from poorly sized buttons and sluggish performance. The tablet-optimized alternatives mentioned in this article, which you may not know... Read More . “Every detail of the user interface is meticulously planned, thought through and re-thought before implementation. Access to the most used functions, such as back and forward buttons and the menu page is conveniently located where your fingers naturally rest while using a tablet,” Opera said. The Speed Dial makes it easy to add, organize and access most frequently visited webpages. Swipe left or right to access the Discover feature, a one-stop shop for all your news, sports and interesting feature stories. Finally, the Off-Road mode compresses data traffic to minimize data usage. Download Opera 18 for Android from the Play Store. No bookmarks, no Opera. No tab groups, no Opera. No session manager, no Opera. This regression is DOA. Are they suicidal? I completely and wholeheartedly agree with you. Everything that they have done recently seems to be a massive and overriding mistake. Why is everyone so enthused about Opera giving up everything that made them unique? It's just another Chrome clone now. And I'm sorely considering going back to IE, just so I don't have to use anything related to Chrome. The man is just expressing his opinion. If you don't agree, either post a rebutal or go somewhere else. Besides, he happens to be right. As soon as Opera 15 came out, all the reviews said the same thing. Opera has been slowly giving up features that made it unique and replacing those features with ones from Chrome. So, in this case, you are the troll. You are spot on. I was a die hard Opera user and refused to upgrade it when they removed the ability to host your own web server. That was way back in Opera 12 which I consider to be the last true Opera. Just a couple of days ago, I downloaded Opera 18 for compatibility issues. I didn't want to download Chrome as it is already on its thirty-ith something build. Unfortunately, the new browser is almost nothing like the browser I knew and loved. The first thing I noticed was that it lacked the ability to group tabs. Also, there was no master overview of windows. Disturbing enough, the tab preview windows that were so handy have been completely removed. It is sad that they took everything great about Opera and removed them. Sure, there are still gesture controls but nothing like what was possible before.